Although less popular than the organisation’s Atlantic Rally for Cruisers (ARC), the World Cruising Club’s late spring/early summer events still attract a sizable international fleet. These rallies are timed to coincide with the period in which yachts tend to be leaving the Caribbean en route to Europe or the eastern seaboard of North America in order to avoid the five months of hurricane season. 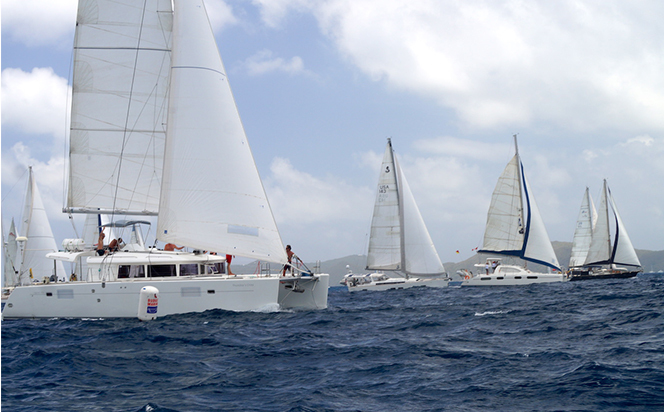 This year 44 yachts from 16 different countries are taking part, thanks to flexible routing options that increase the number of boats for which these rallies are a viable option when returning from a winter season in the Caribbean. 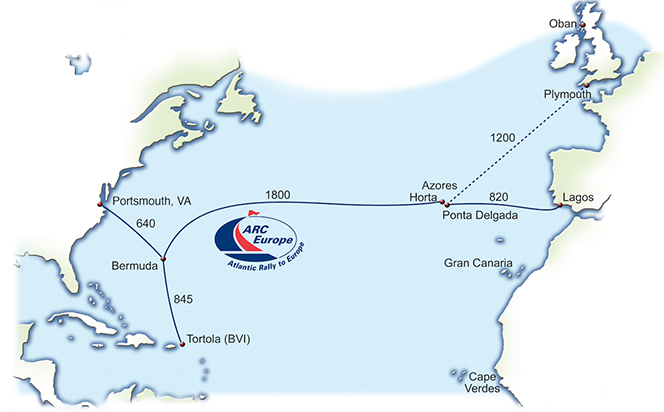 There are 29 yachts crossing the Atlantic from west to east in ARC Europe, which has two starting points: Nanny Cay, Tortola, British Virgin Islands and Portsmouth, Virginia USA. The fleets combined in Bermuda, before sailing onwards to the Azores. Marina de Lagos, Portugal, is the primary destination, but some boats will divert to the Mediterranean or to northern Europe on the final leg. The respective fleets set off on Saturday 7 May, with sunny skies and a strong south easterly breeze of 15-16 knots. The boats then left Bermuda on May 17 for the 1800- mile leg to Horta in the Azores. Once there, the rally will visit four of the islands over a 12-day period, before the last leg that will see the boats heading to their final European destinations. There will be a final prize giving ceremony in Lagos, Portugal on 19 June 2016.